You will find some links here to websites that I have produced earlier. I will gladly help you about creating your domain name and set up for a website on our server. I will generate and activate for a website within 5 minute!!! Ordering a [dot] COM domain or a Norwegian [dot] NO domain. Prosjektråd Innlandet AS har en lang historie som lokalt rådgivningskontor på Kongsvinger. Firmaet startet på Kongsvinger i 1984/1985 som et avdelingskontor for Siv.ing. Sjåtil & Fornæss AS på Elverum. I 1992 ble Siv.ing. Sjåtil & Fornæss Kongsvinger AS etablert som eget AS. Fra 01.01.2016 byttet firmaet navn til Prosjektråd Innlandet AS. Besøk nettsiden – www.prias.no – Klikk på lenken. Dennapha Norway AS, is a cosmetic company producing, marketing and selling SkinCare Products basically produced in Thailand. The website is created for marketing and as a international selling platform with a webshop. Visit the Website – dennapha.com – Click on the link. Wat Thai Gardermoen is located in Gardermoen nearby Jessheim. This is a Temple based on Buddhism as a religion. Visit the Website – watthai.no – Click on the link. Visit the Website – scanfoxmedia.com – Click on the link. Active Au Pair International is a website for Au Pair´s and Housekeeper´s who are looking for work abroad. We have also produced the commercial film for the website. Visit the Website – activeaupair.com – Click on the link. Brenna Gaard is a small farm in Norway that is for Sale. We produced the website and a commercial film as a sales prospect for this farm. Visit the Website – brenna-gaard.no – Click on the link. Norges Bygdeborger is an organisation that is registering the nature how it is developing and changing during thousand of years. Visit the Website – bygdeborger.no – Click on the link. Elena Stir has her Personal Blog where she is writing about her own life and selling some personal arts. She call it her Universal Travel – Step by Step. Visit the Website – elenastir.com – Click on the link. Fuglevikstranda Family Camp is located nearby the see in Rygge, close to Oslo. Idyllic place for relax and holidays. We produced the Website and all the commercial films. Visit the Website – fuglevikstranda.no – Click on the link. Klanderudlia Boligområde is located in the municipality Eidskog close to the border of Sweden. Land for sale. Properties and lands prepared for homes. Watch the Sale Prospect. We produced the Website and the commercial films. Visit the Website – klanderudlia.no – Click on the link. Skarnes in the municipality Sør-Odal. Website made for selling land for properties and homes. We produced the Website and many commercial films. Visit the Website – skarnes.no – Click on the link. This website is for marketing and selling herbs online. Web Shop. Visit the Website – pestron.com – Click on the link. Scandia Drift AS a part of Scandia Group. Visit the Website – scandiagroup.no – Click on the link. This website is for marketing and selling land and properties. Visit the Website – abico.no – Click on the link. This website is for the company who is working with grouting projects. Visit the Website – ss-fuging.no – Click on the link. This website is for the company who is selling land in Skarnes. Visit the Website – østerengbråten.no – Click on the link. The Entrepreneur Rolf Døli AS is located on Skarnes in Hedmark. We produced both the website and many commercial films for the company. Visit the Website – doli.no – Click on the link. 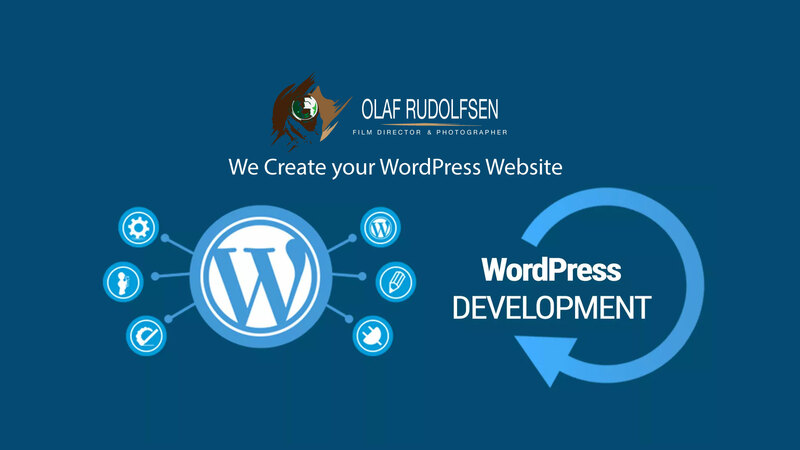 We produce almost all our Website with the content management system called WordPress. WordPress is the most popular way to create a website, web shop or blog. In fact, WordPress powers more than 33% of all the websites on the Internet. Yes – more than one in four websites that you visit are likely powered by WordPress. On a more technical level, WordPress is an open-source content management system licensed under GPLv2, which means that anyone can use or modify mostly all WordPress templates and plugin for free as a start up service. To get a professional business website based on WordPress, you normally need a paid licence to get full or ultimate/premium access to the needed software/plugins. WordPress is also fully Drag and Drop based. A content management system is basically a tool that makes it easy to manage important aspects of your website. A WordPress website is easy to use and will give access to all users given by the administrator. Anyone on a business or on a personal website can get access from administrator to login and write/edit articles or pictures.